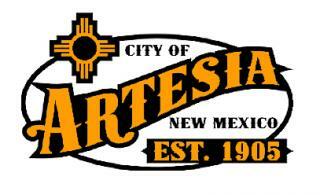 The Artesia City Council will hold six public hearings at its regularly-scheduled meeting Tuesday. • Consideration and approval of an ordinance for the sale of city property at the corner of 10th and Main streets to Starbucks (postponed from the July 10 and 24 meetings). • Consideration and approval of an ordinance to amend Chapter 9-1 “General Zoning Provisions” of the Artesia City Code. • Consideration and approval of an ordinance to amend Chapter 9-2 “Rules and Definitions” of the Artesia City Code. • Consideration and approval of an ordinance to amend Chapter 9-11 “Signs” of the Artesia City Code. • Consideration and approval of an ordinance for the Bush and Bowman Public Right-of-Way Dedication Plat, dedication of right-of-way to the public being 50 feet wide and approximately 1,326 feet in length, and Bush Avenue being 50 feet wide and approximately 844 feet in length. Owner of the plat is Yates Farms, LLC, and the agent is Harcrow Surveying, LLC. • Consideration and approval of an ordinance for Kennemur Land Division – Final Plat – County, located within the three-mile platting jurisdiction of the City of Artesia. The division will be of Tract 1 of the Menefee Land Division No. 2 into Lots 1-3, being 1.258, 1.876 and 1.90 acres in size, located in the 900 block of West Thoroughbred Road. Owners are Ray and Kaylee Kennemur; agent is Harcrow Surveying, LLC. The meeting is scheduled to begin at 6 p.m. Tuesday, Aug. 28, in Council Chambers at City Hall.